American – produced from fermented mash, distilled at no more than 80% alcohol. Rye – a) American Rye Whiskey is made from a mash of at least 51% rye and malted barley. It is distilled to no more than 160 proof and aged in charred, new oak barrels. b) Canadian Rye- may contain only a fraction of rye. c) Straight rye whiskey- aged for at least 2 years. Canadian- mashed, distilled, and aged in Canada from a blend of whiskies. Canadian whiskey is a versatile drink, usually paired with a non-alcoholic beverage for flavor. Bourbon – American corn based whiskey that comes from one of two types of mash, sweet or sour. Straight bourbon- Liquor distilled from a mash of at least 51% corn and aged in new, charred oak barrels for a minimum of 2 years. Blended – a combination of two or more 100 proof straight whiskies blended with neutral spirits, grain spirits, or light whiskey. Irish – whiskey distilled in a copper pot still (can be distilled up to three times) and blended producing a lighter, smoother type of spirit. Light whiskey – whiskey that has been distilled to higher-than-normal alcohol level then diluted with water to a greater extent than usual. It is stored in a charred oak containers in order to obtain a distinct character and is generally used for blending. Scotch – must be distilled at a Scottish distillery to an alcoholic strength of less than 94.8% by volume. 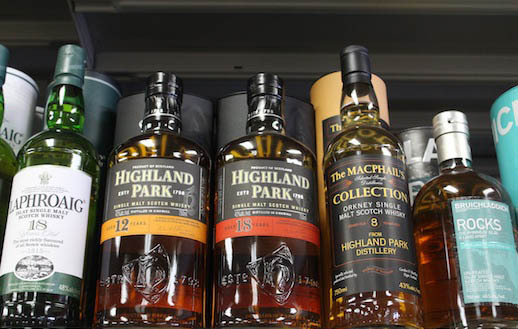 It is matured in oak casks in Scotland for no less than three years. It may not be bottled at less than 40% alcohol by volume. Single malt whiskey – made from malted barley and from a single distillery. Malt whiskey is richer in flavor than blended whiskey. Strong and colorless, gin is made by re-distilling a high proof spirit with juniper berries, essential oil of juniper, or other botanicals to extract the desired flavor. 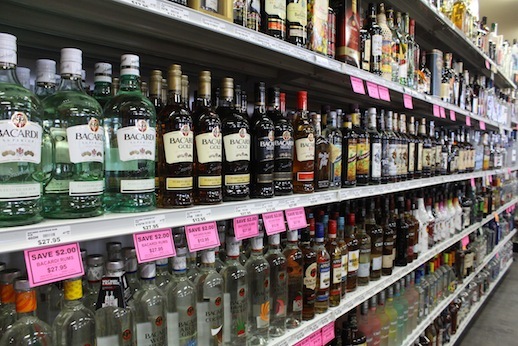 Distilled water is added to adjust the alcohol concentration to 80-90 proof. Malt flavored full bodied Dutch (Genever) – made from equal parts of malted barley, corn, and rye. Dry, purified type-made primarily from corn with a small percentage of malted barley and other grains. “Golden gin,” aged 1-3 years in wood. It is relatively sweet, aromatic, and served chilled and straight. Sloe gin is not a gin but the fruit of the blackthorn infused in it. It is considered a liqueur. The best known gin cocktail is the martini made with dry vermouth. Because rum is a global spirit made around the world, there is no single standard for what constitutes rum. Rums distilled in pot stills contain more congeners and have a fuller taste than the rums produced in column stills. White rums, also called light or silver, are generally light-bodied, clear, and have a subtle flavor. They may be aged 6-12 months, then filtered. This produces a colorless, drink that is used as a mixer and blends well with fruit flavors. Gold or amber rum is medium bodied, aged 3 years and have caramel added for flavoring and color. Golden and dark rum can be had straight or used in cooking. Dark rum may be aged for 5-7 years in heavily charred barrels. They are produced in pot stills and have a full body with rich caramel flavors. The dark rums are the richest and can be consumed straight up. Spiced rums can be white, golden or dark. Spiced rums have an exotic, aromatic quality from the infusion of spices or tropical fruit flavorings. Anejo and age dated rums are from vintages or batches that are mixed together to insure a continuity of flavor in brands of rum from year to year. Some aged rums will give age statements stating the youngest rum in the blend. Tequila is produced from the fermented juice of the Mexican agave plant. Mexican law states that tequila is produced only from the blue agave plant grown in a specific area of five Mexican states and must be made with at least 51% blue agave. Tequilas that are labeled “100% Blue Agave” are considered the best. Tequila is normally distilled twice, then bottled or put into barrels to begin aging. Blanco (white) or plata (silver) – is un-aged and bottled, or stored immediately. It has a smooth, fresh flavor with a herbaceous, peppery quality. Joven (young) or oro (gold) – is blanco tequila which has caramel or food coloring and doesn’t have to be aged. Examples are Jose Cuervo Gold or Sauza Gold. Reposado (rested) tequila – is aged a minimum of two months or up to a year in oak barrels. This gives the reposado tequila a hint of vanilla and spice with a character more mellow than blanco tequila. Anejo (aged or vintage) tequila – is aged a minimum of one year but less than three years in oak barrels. This imparts a dark color and complex flavoring. 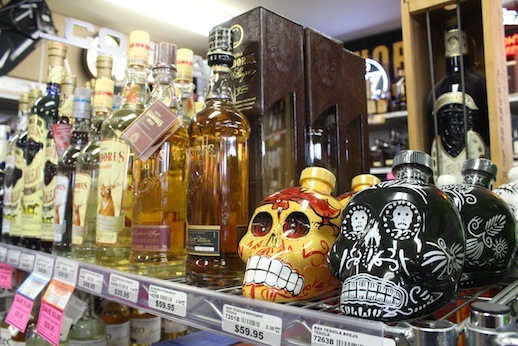 Extra anejo (extra aged or ultra aged) tequila – is aged a minimum of three years. The smooth, elegant, and complex flavor of the best anejos is compared to that of fine cognacs. Brandy is distilled from a grape wine or a fermented fruit mash, but can be distilled from any liquid that contains sugar. Fine brandies are made in small batches using pot stills; they are double distilled. Mass produced brandies, usually distilled in the less expensive manner of column distillation, can be made from anything, as all flavors are removed and the taste is added later. Cognac – Brandy distilled from white grapes grown in the Charante region of France. it is named after the town of Cognac. Cognac goes through double distillation using pot stills and is aged in oak barrels. The distillation of cognac is costly because it takes 9 liters of wine to make one liter cognac. Cognac’s minimum alcohol content is 40% alcohol by volume with water being used to reduce the proof. Armagnac – another French brandy that is produced in a specific region of France. Armagnac is distilled only once and is aged in black oak barrels which allows for faster aging. It has lower alcohol strength, about 53%, than cognac. Eastern Europe is considered to be the homeland of vodka, where it was originally made from potatoes or any cheap, fermentable, or plentiful material. Vodka produced and distilled in the United States is considered a “neutral spirit” because it has been distilled to a high proof to eliminate as many congeners as possible. It is treated after distillation with charcoal filtration, or other material, such as fine sand, to remove any distinctive character, aroma, taste or color. Crisp and clean. These vodkas are dry and clean with a delicate hint of citrus and spice. This style resembles the character of pure ethanol. Medium. Hints of the original fermentation base (rye, wheat, etc.) are evident. Creamy. The vodka palette presence is very textural with bold flavor notes. Because vodka has no dominant flavor of its own, it is recognized as the most versatile of spirits in terms of its ability to mix with other spirits and flavorings. 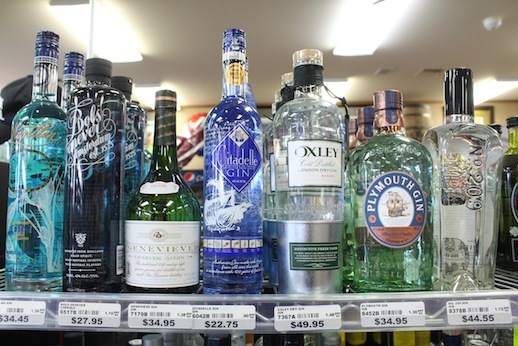 Vodka is substituted freely for gin in martinis and other drinks. 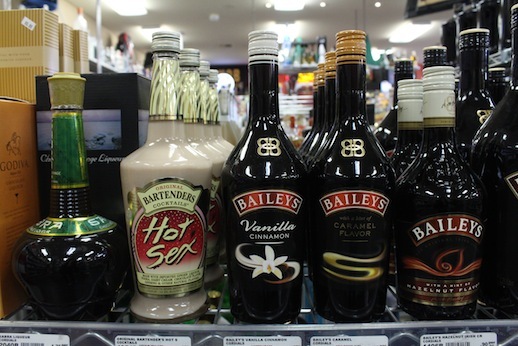 Liqueurs are flavored spirits combining a base spirit (brandy, rum, whiskey, etc.) with flavorings and sugar syrup. Their alcohol content ranges from 24 – 60%. Quality brands are flavored with the finest ingredients, essential oils and extracts; less expensive examples often use artificial flavorings. Liqueurs are usually served after dinner. they can be poured over ice, added to coffee, mixed with cream or other mixers to create cocktails, served with or after dessert. When planning an event, the average consumption per person is one drink every 45 minutes. If the event will last 2 hours, plan on 3 drinks per person. Start with your best guess of the drinking habits of your guests. Divide the number of guests between the types of beverages you plan to serve. For example, if you choose to offer wine, beer and alcohol-free beverages, then figure the number of servings for each category, calculating one drink every 45 minutes, or 3 drinks every 2 hours. Finally match the total servings to the chart above. If you don’t know what the drinking habits of your guests are, you will need to overestimate an equal division of all categories. For example, using the same 50 people above, with the same beverage offering, assume 25 will drink win, 25 will drink beer and 25 will drink alcohol-free. It may seem that you’re buying more than you need, but your guests won’t be disappointed.